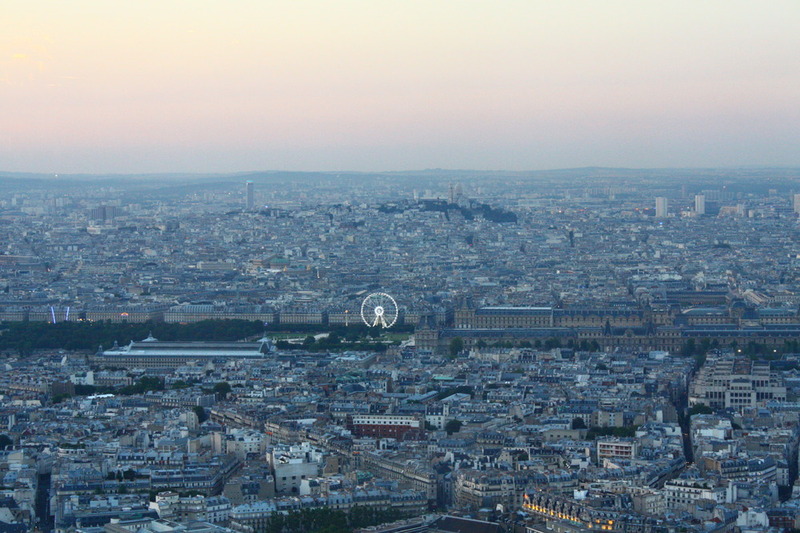 Aside from having to queue, there is one major drawback to viewing Paris from the top of the Eiffel Tower, and that is that you can’t see the Eiffel Tower! So I went up Tour Montparnasse which is quieter yet provides an incredible panoramic view of Paris. 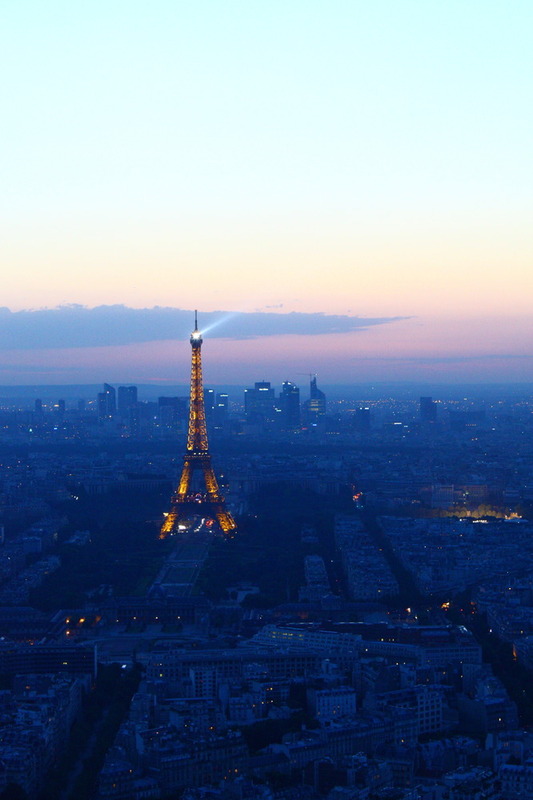 Go at sunset and you’ll not only see Paris drenched in the pastels of the evening light – you’ll also see the Eiffel Tower light up and sparkle on the hour (every hour after dark) for 10 minutes. Unbeatable! That is a killer first shot Solange. Solange!! 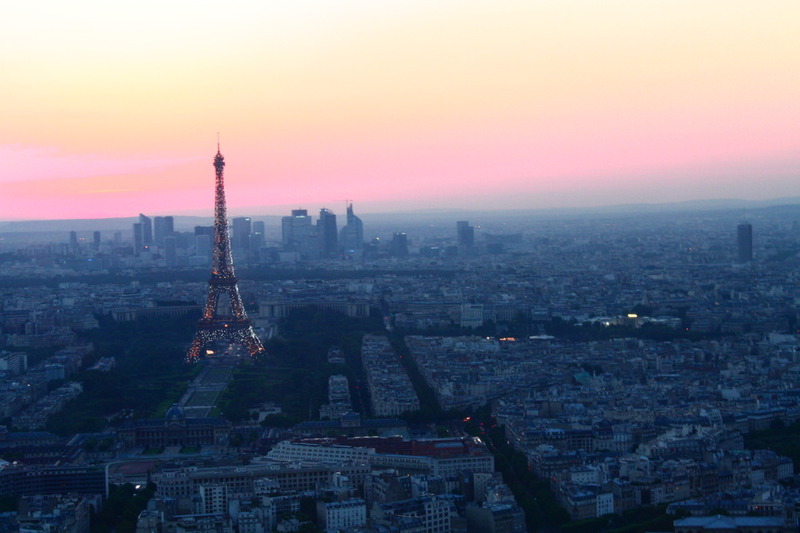 Great tip- Elliot and I are going back to Paris next month and that is the view I want! You must tell me though- what is this amazing camera you have? Brilliant view! 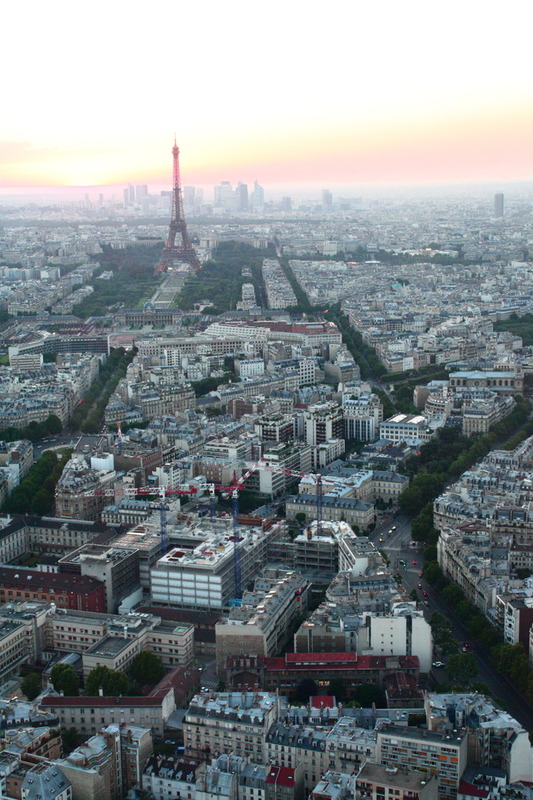 Was staying near Montparnasse Tower, but sadly missed this view. Thanx for posting this. Surely will do in my next visit.